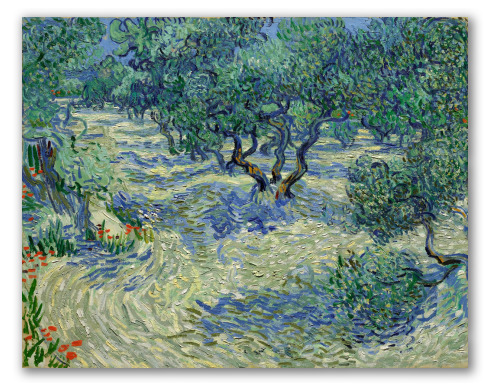 "Olive Orchard" by Van Gogh, Nelson-Atkins Museum Reproduction. 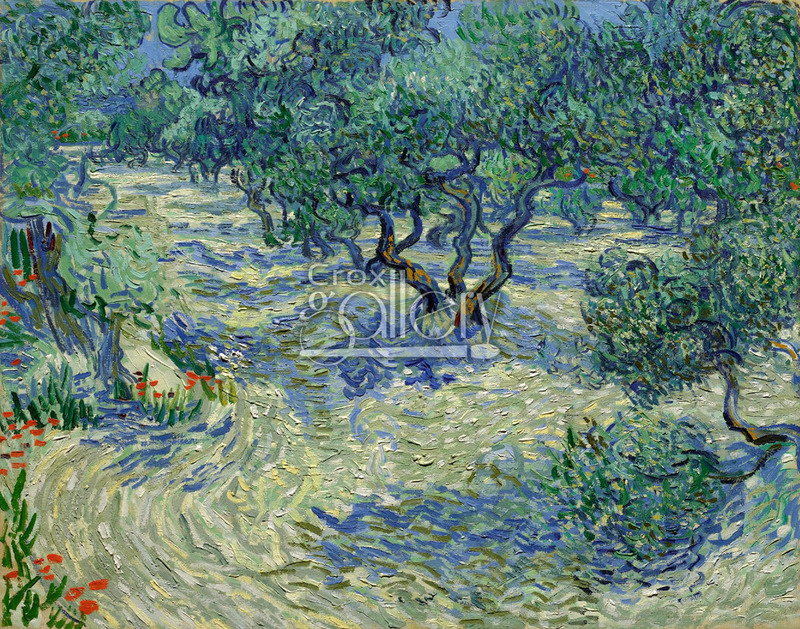 "Olive Orchard" was painted by Vincent van Gogh in 1889, during his stay at the Saint-Rémy-de-Provence sanatorium, where the genius spent the last days of his life. In one of his letters to Theo he refers to the trees in this painting with these words: "their violet shadows lying on the sunny sand". It is actually located in Nelson-Atkins Museum, Kansas City.